Monday Morning Quarterback: Which Husker coach will have the higher winning percentage after their first five years at Nebraska? After a rough first year at UCF, followed by the undefeated season in 2017, Scott Frost ended up with a winning percentage of 73% before moving on to Nebraska. At Iowa, after a .500 first-year record, Fred Hoiberg ended his time there with a 67% winning percentage. Both coaches know how to get the most out of their teams. 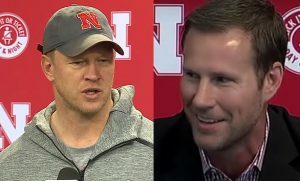 Which of these high-profile Husker coaching hires will have the better record after their first five seasons?